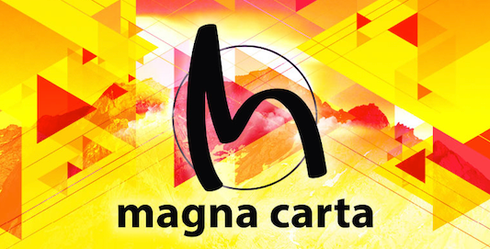 Sankeys Ibiza and Magna Carta recently announced another summer long collaboration that will see them come together once again for 20 parties between May and September. 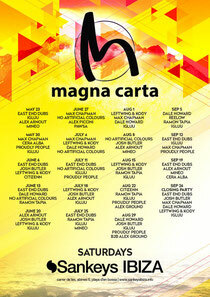 Magna Carta is known for its tech house sound and as such at the heart of each night will be regulars like Moon Harbour’s kingpin East End Dubs, Dogmatic label boss Alex Arnout, Spain’s Ramon Tapia and heavy house hitters Josh Butler and Dale Howard. This year, the Magna Carta crew have added some well considered names so that things will be spiced up nicely for the new season. Staying right in the middle of the worlds of dubby tech and rolling house, these acts include the likes of Madtech pair No Artificial Colours, Leftwing & Kody, Igluu, Mineo, Max Chapman, Reflow and Cera Alba. The aim will be to keep things as underground and focussed on the music, there will be no themes, no gimmicks, just pure tech and dub house beats all night long at each and every event. It all kicks off on 23 May with East End Dubs, Igluu, Alex Arnout, and Meno. It all carries on until 26 September when there is a closing party with East End Dubs, Josh Butler, Max Chapman, Dale Howard, Leftwing & Kody and Igluu.